It is available for everyone (who is familiar with InterSystems data platform ;) to download and install on Caché/Ensemble/IRIS, load the data and have same analytics locally. And what is more interesting IMHO you can improve the analytics and pull request to the Github! So! What is the data? 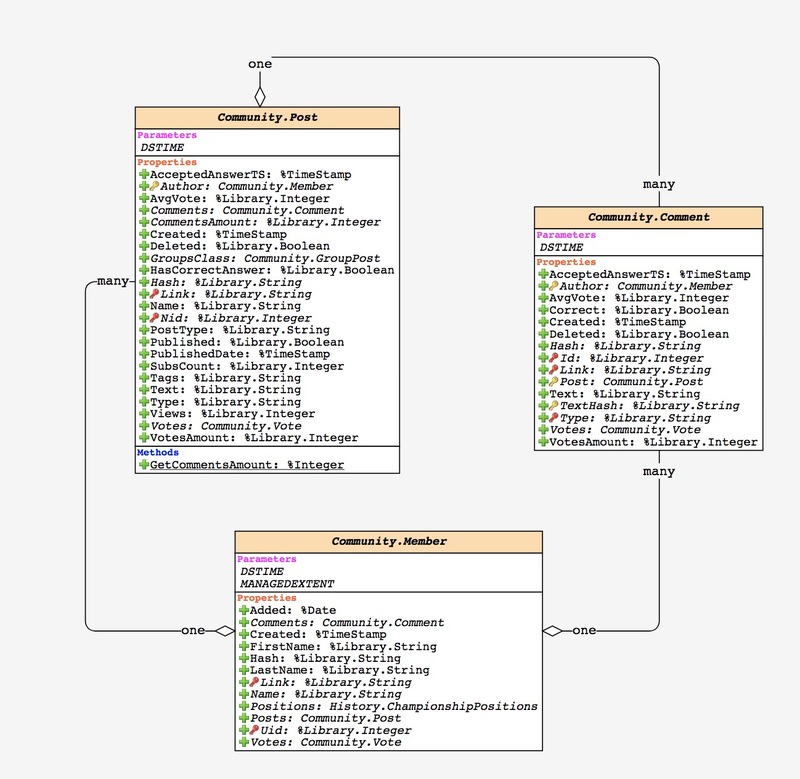 The schema of persistent classes is very complex and consists of 3 classes: Posts, Comments, and Members. See the diagram built in ClassExplorer, courtesy of @Nikita Savchenko . Another portion of persistent data is a daily data on views and achievements of members. This data can be imported and is available in Releases section in a form of gz with globals in xml format. 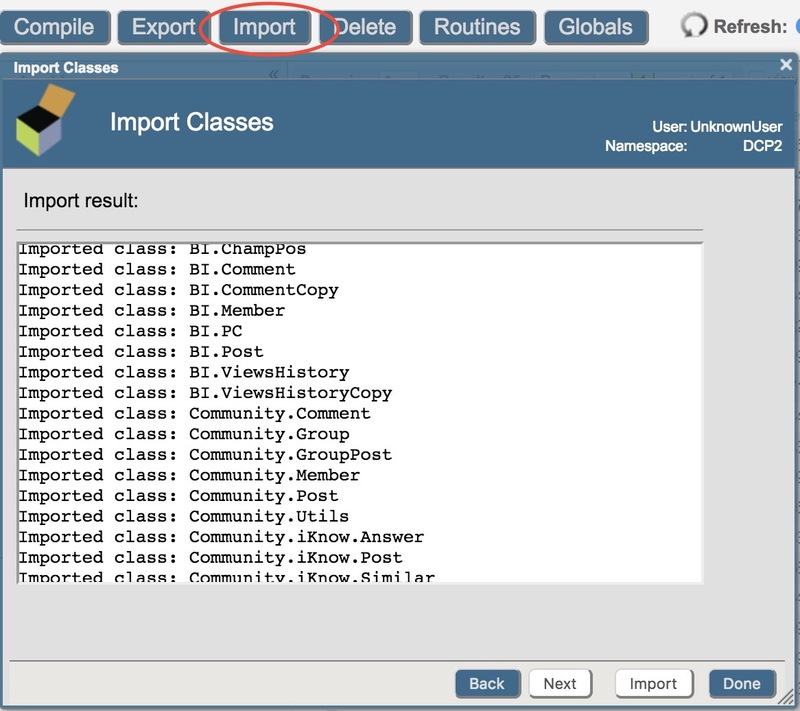 How to get this on your InterSystems Data Platform instance? You would need IDP instance of 2014.1 and newer. 3 Create a new Namespace (name it e.g. DCANALYTICS), enable DeepSee and iKnow. 4 Go to Releases and download the latest DCAnalytics_classes*.xml file. 6. Setup tiles for DSW. Download from releases the latest DSW.config.and.iKnow.files.zip, unpack and move file dcanalytics.json from archive to <your_instance>/CSP/dcanalytics/configs/. The name of dcanalytics.json should match the name of the namespace. Open the url <server:port>/dsw/index.html?ns=DCANALYTICS and get your own DC Analytics. There are also dashboards, which use iKnow to show links between terms and articles. Download from release DSW.config.and.iKnow.files.zip and move files sets.txt and backlist.txt from archive to <your_instance>/Mgr/DCANALYTICS/. What’s Next? – Make it better! Hope, as a usual developer, you don’t like the implementation, don’t like the style, dashboards are awful or not enough - this is great! You can fix it! Let the collaboration started! So, fork it, make it better and provide the pull request. We’ll review it, merge it and introduce to the solution. 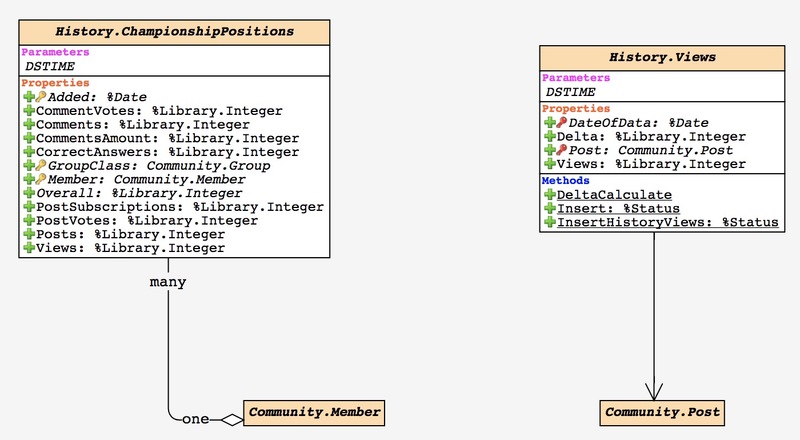 Make your own better Developer Community Analytics with InterSystems Data Platform! There is a community project of DSW reports - which provides a way to prepare and send DeepSee Web reports in PDF by schedule. So, we introduced this feature to DC online analytics to have a weekly report in PDF - like this one. If you want to receive this report on Mondays too please put your comment here, we'll put you on the list. And you are very welcome to introduce your issues how we can improve it, or provide your pull requests.